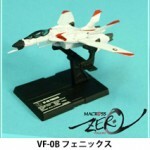 Bandai has announced a new line of Macross toys, the Macross Fighter Collection in 1/250 scale! The first wave will see 17 releases, 16 regular, and 1 chase toy. Just what is included in these first 16 releases? 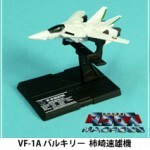 Well, shown in this set of images is the VF-1 Valkyrie(numerous, including A/J variants), VF-19P, VF-19F/S Blazer Valkyries, VF-19 Kai Fire Valkyrie, VF-2SS Valkyrie II, VF-0 Phoenix(numerous, including A/B/D variants), and the VF-25 Messiah(F/G & variant). 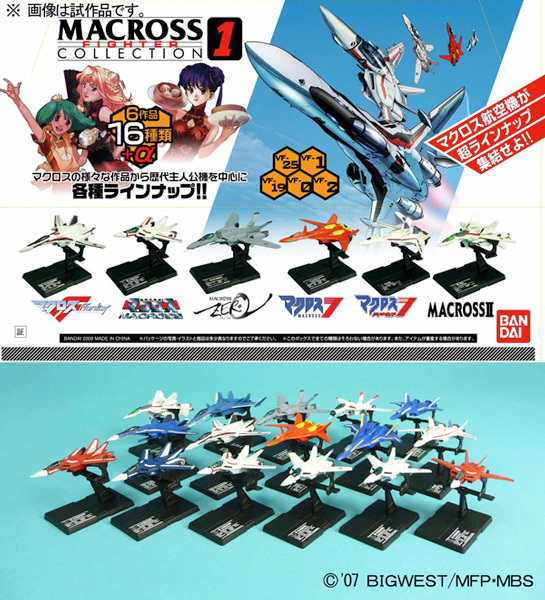 Included with each plane is a display stand. 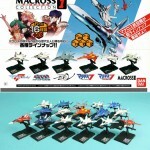 These are packed 12 pieces per case, and each piece will cost 420 yen. This first collection is set for release in August. Click on the title bar to see more! 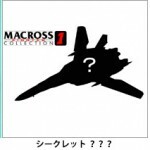 Bandai will be releasing new Macross valkyries in a small scale, 1/250! 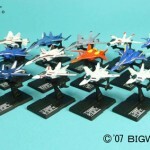 These small toys even come with display stands, and the initial batch shown is quite impressive. Click here to check them out! 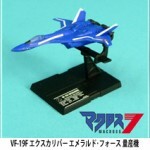 No, fighter mode only. 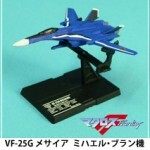 Man..I hope Bandai makes a DX Blazer Valkyrie in their 1/60 line....that fighter mode on the 1/250 version nails the design pretty damn well. 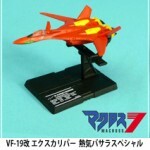 I hope that 1/250 scale VF-2SS is also a sign of a bigger toy to come....that design never got much attention but looked pretty damn awesome in action.